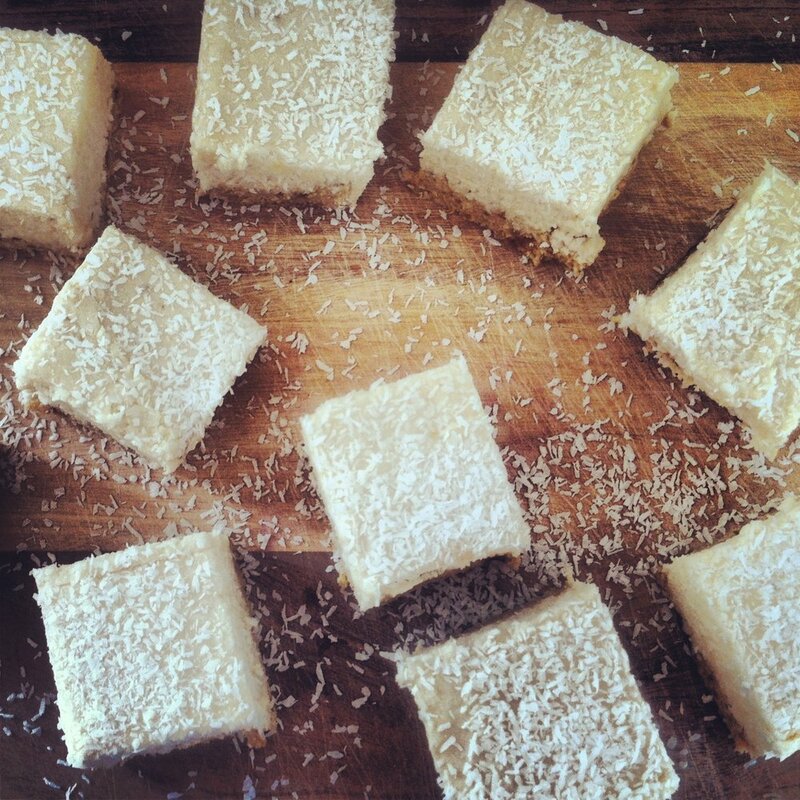 This is a recipe for vegan, lemon and coconut slice. The slice is nut free and refined sugar free, making it the perfect guilt free dessert or snack. The topping tastes beautiful, sweet and creamy and it has a burst of citrus. This slice is so delicious and satisfying, you would never know its sugar free. I have made this slice twice and I usually double the recipe as it gets eaten so fast! The slice can be kept in the fridge for around a week. In a food processor add the base ingredients and blend together until the mixture it has a sticky, paste like consistency. Press into the bottom of a square-baking pan and put in the fridge. To make the top layer blend all the ingredients until smooth. Taste the mixture and add more lemon juice or maple syrup if needed. Spread the mixture on top of the base and sprinkle some more desiccated coconut over the top layer. Place in the fridge overnight or until set.